There are existing companies who have been bothered by most billing work processes—be it medical billing or claims processing. This has been the case for many because of the large pile of paperwork to be handled have caused businesses to be delayed in processing each claim. Such delay could cause your business to slow down when it comes to generating income and it could be a roadblock to your income flow. Also, it could affect your relationship with your own respective clients. But this should no longer be a problem given the circumstances today which pave the way for you to regulate both your business’ workflow and income flow. In the past, there were only a limited way for businesses to address such problem but just like everything else, times have changed and the current set up has allowed for outsourcing companies to help companies who are looking to hasten their billing and claims processing. 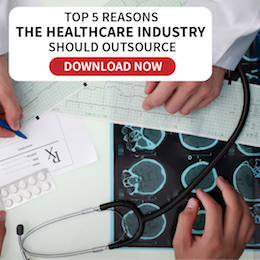 There are now a number of outsourcing companies available in the market, but it is important to see whether their solutions are a fit to what your business and business processes require. Each outsourcing company has their own specialization, but there are some solutions providers who accommodate the uniqueness of each business and tailor their solutions according to what is needed. Also, some outsourcing companies extend its assistance through the development of software and through designing work processes to enhance their clients’ performance. We have pointed out that billing and claims processes are integral parts of a company, especially when this is what your business is about. There are instances wherein instead of seeking software that is compatible to their process, a business would further seek a combination of software and service. This kind would encapsulate multiple work procedures in a particular process instead of just doing one of the many steps and it seems that this is what most outsourcing companies offer. Outsourcing solutions provider Accenture (NYSE:ACN) has been in the limelight for the past few days after they have been selected by a number of companies and government offices to support their processes. Most of these have sought Accenture’s expertise when it comes to software development and consultancy. First week into the month of July and Accenture has already had a couple of press releases, announcing its partnership with various entities. The first announcement covers Accenture’s collaboration with Mountain States Insurance Group, wherein the former was selected for its property and casualty policy software suite and billing system. Mountain States Insurance Group avails this software developed by Accenture for them to improve their business in line with the new marker demands and for them to streamline their internal processes. The billing system will aid in the implementation and maintenance of Insurance Service Office-based commercial lines and National Council on Compensation Insurance-based workers’ compensation products. The second press release covers Accenture’s partnership with a healthcare office based in Madrid, Spain. Accenture, together with Madrid Health Services, have implemented Madrid Electronic Health Record System that stores patient information electronically into a single, integrated record. This electronic health record system will be accessible to 26,000 clinicians. This will enable a faster, more secure and streamlined approach to healthcare-related processes. 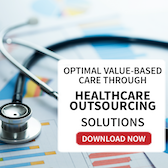 Software outsourcing has grown to become a strong force in the outsourcing industry and it has proven to grow even stronger when it comes to developing and supporting billing and claims processing outsourcing. 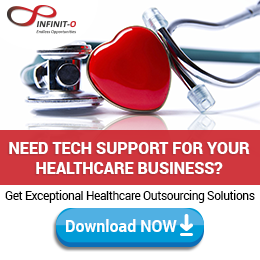 Infinit Healthcare’s content team consists of regular blog contributors who writes topics about outsourcing and its relation to the Healthcare Industry. Despite the economic difficulties that most companies are experiencing, projects continue to be implemented and business goes on – at the expense of the allocated budgets. We can’t help but cut corners without compromising too much, but that proves extremely challenging. This is the primary reason why a lot of businesses outsource software development instead of hiring in-house experts. Great Idea you have. and in addition with that Outsourcing is now a major part of business from many countries, particularly in the United States, where business functions of most companies are outsourced. It also spread across Asia specially in Philippines. Software Development Outsourcing is an effective business management solution and offers you great solutions to make your business effective…. Will always keep an eye on your blog !!! We can’t help but cut corners without compromising too much, but that proves extremely challenging. This is the primary reason why a lot of businesses outsource software development instead of hiring in-house experts. There are various forms of software outsourcing services deals. It’s a good thing to determine about them in case you are thinking of software outsourcing. Software outsourcing is growing to become a highly effective power in the outsourcing market and it has verified to develop even more highly effective when it comes to creating and helping asking for and claims managing outsourcing.